The Board of Directors of the Michigan Supreme Court Historical Society is pleased to present the Verdict of History Project to the members of the Michigan Bench and Bar. The multi-year project is a study of the Michigan Supreme Court’s development of Michigan jurisprudence as it affects lives of Michigan citizens. A committee of six members of the Board of Directors (whose misplaced modesty requested they remain nameless) began working in 2003 to select a list of most significant cases. Originally, the committee sought to create a list of criteria that would allow them to identify the “most significant cases” objectively. Quickly they discovered that a purely objective selection would be impossible. After submitting their own case nominations and reviewing nominations from the State Bar of Michigan, the Michigan Supreme Court, and the deans of each of Michigan’s law schools, the committee spent nearly a year researching, reviewing and debating until the number of cases was narrowed to 20. The 20 cases that made the list of “top cases” may not be the best written, have the best diction, settle an important or obscure point of law, or be of the greatest economic consequence. But they are for the most part a Michigan Supreme Court decision that had a profound effect on the everyday lives of Michigan citizens of the then and now—more so than just the parties to the matter. Of the over 30,000 cases, reported in 480 volumes of the Michigan Reports, by the 104 Justices who have written while serving on the Court, there surely are more than our selected 20. But as you review them, you may be willing to admit, we have made a good start. 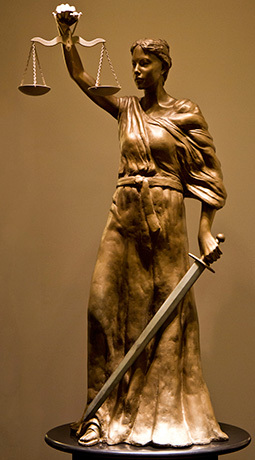 The Michigan Supreme Court Historical Society, created in 1988 by then Chief Justice Dorothy Comstock Riley, has been working for the past 20 years to fulfill its mission, to promote the study of the history of Michigan’s courts and to increase public awareness of Michigan’s legal heritage. The Verdict of History Project is perhaps the most ambitious and comprehensive project yet undertaken. The project is presented in four segments in the January, February and March issues of the Michigan Bar Journal. Teach the Verdict of History: lesson plans here.